A very neat design of 2 inflatable tubes connected with a piece of sailcloth. The sailcloth can be folded around the mainsail bolt rope and slides up the sailtrack. Then the mastfloat is hoisted with the sail. This stops you having to tip the boat on it's side or having a loose float flapping around at the top of the rig. Each tube has a length of 80 cm and can contain 4 litres of air, so the total buoyancy is 8 litres. 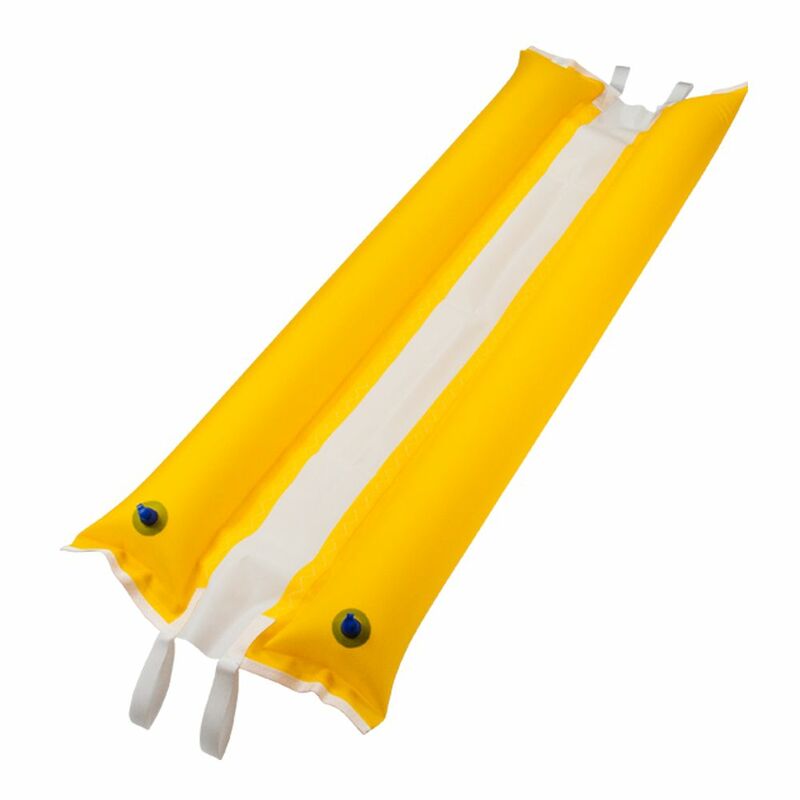 Please note this product significantly reduces the risk of inversion and is meant for small dinghies. It does not guarantee 100% protection against inversion. Using it is for your own responsibility. The product is inflated by mouth.